And now, just as quietly, the mobile messaging service is letting users of its Android app disable the feature with the rollout of WhatsApp version 2.11.444. 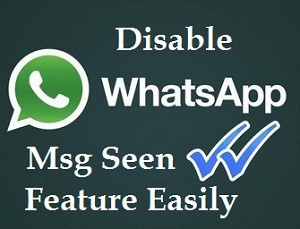 This version is available for users on WhatsApp's website for now, and will eventually be rolled out to all users. 4. Once the APK file is downloaded to your device, tap the 'Install' option. 6. Now that WhatsApp has been updated, select Settings > Account > Privacy. 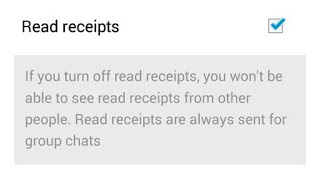 Under the Privacy tab, uncheck the Read Receipts option. This feature however doesn't apply to group messages and will let other participants know when you've read a message. Also, once you disable this feature, you won't be able to view blue double-check marks when you send a message as well. The feature that enabled the users to see when their messages were read didn't go down too well with the users and with this update, WhatsApp seems to be taking steps to please users who were not happy with the new feature.